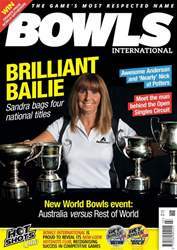 Get your FREE Sample issue of Bowls International today! Brought to you by Key Publishing Ltd. 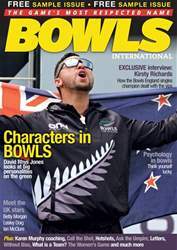 Published monthly, Bowls International is synonymous with bowling throughout the world, with the magazine having been at the forefront of the sport since it was launched back in 1981. Whether playing at the highest level or at the grassroots of the sport, Bowls International prides itself on providing you with an ideal blend of interesting, entertaining, informative and instructional articles, with the latest news and views from some of the sport's biggest and influential names. Apart from coverage of all of the world's major championships, international and national tournaments, there is a bowls holiday guide each month, super prizes to be won in easy-to-enter competitions, and the world famous Hot Shots Club, which has become over the years one of the most recognised bowls awards anywhere in the world. Looking for Bowls International in print? Unfortunately pocketmags.com does not sell print copies of Bowls International, but all is not lost. Our partner at magazine.co.uk sells print subscriptions at the best prices online. 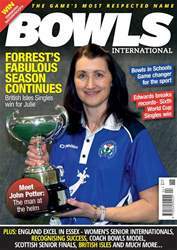 You'll receive 12 issues during a 1 year Bowls International magazine subscription. 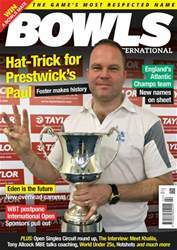 You'll receive 12 issues during a 1 year Bowls International magazine print subscription.